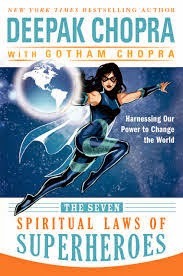 I've been reading a book by Deepak Chopra called The 7 Spiritual Laws of Superheroes during my holidays. Well with a title like that how could I ever resist - spiritual laws AND superheroes?? A perfect fit! 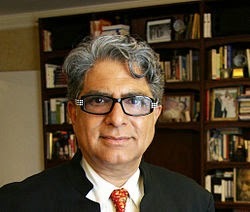 Deepak Chopra is a name synonymous with new age wisdom and you either are open to that or not really. I'm not usually. I prefer my wisdom of the gnarly old aged variety (trust you're well PJ) but I bought the book on sale at Poppies in Havelock North when I saw Chopra had used The Silver Surfer as a subject in his analysis. Now, I LOVE The Silver Surfer. 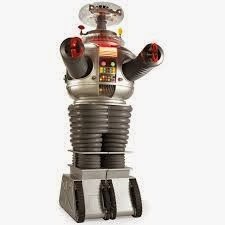 He first came to my attention in The Fantastic Four comics that I collected when I was much much younger. 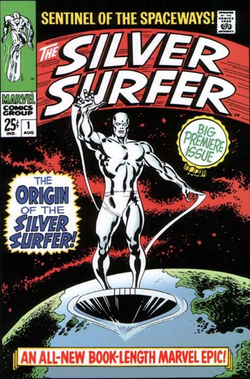 The Silver Surfer, for the uninitiated, started off as a young astronomer named Norrin Radd on the planet Zenn-La. Wikipedia tells us that "he saved his homeworld from the planet devourer, Galactus, by serving as his herald. Imbued in return with a tiny portion of Galactus's Power Cosmic, Radd acquired vast power, a new body and a surfboard-like craft on which he could travel faster than light. Now known as the Silver Surfer, he roamed the cosmos searching for planets for Galactus to consume. When his travels took him to Earth, he met the Fantastic Four, a team of powerful superheroes who helped him rediscover his humanity and nobility of spirit. Betraying Galactus, the Surfer saved Earth but was exiled there as punishment". It's the rediscovery of humanity that Chopra is interested in. As I read through the book I became aware of how a lot of what Chopra was talking about related to change philosophy. The Silver Surfer starts out as one thing, for altruistic reasons he becomes aligned with evil and destruction but then ultimately changes to become a 'warrior for good'. This is a tad more complicated than the simple NIssan model of steep slope improvement (>Plan>Do>Check>Action>Plan>Do...) and although there doesn't appear to be a cyclic nature to Chopra's model, the concept is very similar. My school has set up a Change Action Group (CAG) and I've volunteered to be a part of it which is slightly against Groucho's maxim (don't belong to a club that would have me as a member) but it could be an exciting way forward. I like the way change and action are aligned in the group title. That gives me a degree of confidence. I keep thinking about those bananas! Rest assured - I'll keep you posted.